Something interesting happened today, I was contacted by a past real estate client today that the images I used on his website were being used illegally! I, of course, did not use any photos for his website or any other clients website illegally. As a real estate virtual assistant I know better than that and I responded to him that any photo that I personally used on his website were purchased through www.istockphotos.com and I have receipts to verify this and was happy to produce them at a given moment to anyone challenging this fact. Since I started my company in 1999, as a real estate virtual assistant, I knew right away to always buy your photos or at least get permission from the photographer, not the person who has the photo, but the person who took the photo. This is important because if you get permission from anyone other than the original owner this does not mean anything in court. So always go to the source for permission. It took me a matter of 5 minutes to open my archives on past clients, pull his folder and review the photos and review the invoice with the photo. I then told the client if anyone was challenging him on this have them contact me to resolve this situation. In a matter of minutes this problem was resolved, so lesson here people, get a receipt and save it where you can find it. This was a project I worked on over 3 years ago. The IRS says they can legally request your past 7 years of tax returns, but if you need to prove you have the right to use an image, an article, etc. make sure you keep very good records on everything you purchase. My personal opinion of the online photo company is they are bullies and they are looking for ways to take your money. I researched this company only to find out that they are notorious for sending these emails, but when challenged they back-off. So, don’t panic if you get this type of letter, just make sure you can prove it and if not make them prove you do not have the rights. Don’t just send them money, make them prove it to you. And, be careful in the way you use images from Google Images, Flickr, etc. Check to see if the image or photos are copyrighted and if you do find a photo on the Internet ask them where they got the photo and then get permission. This also goes for articles. Do not take an article without written permission from the author and when you have permission make sure you link back to them for credit. We all can play nice in the sandbox, just know the rules. Are You Prepared to Send Your Holiday Cards? Well, another task that a virtual assistant can assist you with is preparing your holiday cards. How can a virtual assistant help you with this important task you ask? Well, all you need to do is send the virtual assistant your holiday cards, database, postage and the message you would like to include along with your signature. The virtual assistant will write the message in each card, include your signature, prepare it for mailing, place a stamp on the envelope and take it to the post office for you. And, if you would like to include a gift, your virtual assistant can order it for you. But, what if you don’t w ant to delegate this important project to a virtual assistant, but you still do not have the time to get this together. Well, you might want to consider Send Out Cards to help you out. Once you open your account you can upload your database, choose your card, include your message to each one of your recipents, choose your gift, choose the date to send the card and gift and then SUBMIT. Or, you can have your virtual assistant handle this for you as well. All you need to do is open the account. This literally takes 5 minutes at the most. By having this incredible time-saving, cost effective program you can send cards on a whelm. Send a birthday card, thinking of you card, congratulations on your new home card, thank you for the referral card and the list goes on. This program offers you unlimited possibilities and one that is becoming the must have program for any real estate agent or for any business for that matter. Want more inform ation on how this program works? Easy, go to Send Out Cards and take a look around. Want a personal walk-through on how this program is going to benefit you and your business? Then let me take you on a tour of the back-end. If you have 20 minutes – it could be the best 20 minutes you ever spent on your business. Heading to Nacogdoches to see my son, Phillip play in the yearly Rugbyfest at Stephen F. Austin University. Go Lumberjacks! Phillip has the ball. #12! You need to have your real estate virtual assistant create some very impressive marketing pieces – both direct and Internet. Here is a sample checklist of what you should be showing the seller what you will do for their property. Create the content for the listing. Of course, mention everything that is special, updated and unique, but you might also have the seller write a few paragraphs on why their home is special. They will mention features that maybe you have not, talk about the neighborhood, etc. Then you can incorporate this in your marketing. Take lots of photos and make sure they are in a high resolution for printing. You will also want to walk through the home to have the seller remove items to make the home have less clutter. You might consider bringing in a stagger at this point, but the bottom line when taking photos of the inside and outside is to make sure the home is clean and clutter free. You might also consider taking photos of the neighborhood, shopping areas and anything other points of interest. Create impressive flyers that can be distributed in the neighborhood, placed in the home and for the Broker’s Tour. Create Just Listed postcards that are colorful and that will get noticed. Create virtual tours that is not only going to WOW the seller, but any buyer that sees it as well. Once you have all the information on the home, your photos, and any other important information then you can send it all to your real estate virtual assistant and she can then begin the putting the WOW on all your marketing, virtual tours, adding it to your websites, creating e-blast to your database of buyers, past clients, etc., and don’t forget the agents in your database. You just never know where that buyer will come from. Create a Single Property website on the listing. This is where you purchase the address as the domain name and you have the ability to add photos, content, documents, etc so the buyers can see everything at once. Once the seller becomes a client you need to set them up on your birthday card campaign, put them in your database and set them up on your Current Seller Plan and Seller drip campaign and you monthly newsletter. Now that the listings marketing is completed and everything is up and running you need to make sure you send your sellers a monthly report on what is going on, what you are doing to market the property and share the feedback with them. This is another area that your real estate virtual assistant can assist you. Seller Reports are so important to your listing plan and one that is expected by the seller. If you do not have some of the pieces to the above in place for your listings, now is the time to act. Get organized on what you will do for the seller and set a plan in motion. Kim Hughes & Company’s clients use Agency Logic to create their Single Property websites. Agency Logic has been the leader when it comes to setting your properties apart from the others and they very cost effective. The best thing about this program is you can send seller reports straight from the control panel to your sellers. Visit Agency Logic for a special price when you click here. With a slow down in the real estate market now is time to take action and get yourself organized with your listing procedure. Step-up to WOW today’s seller with the marketing you offer and with the assistance of a real estate virtual assistant there is no reason you can’t. Ready to Find a real estate virtual assistant? Go to www.REVARoundtable.com to review over 30 real estate assistants profiles or submit an RFP outlining the services you need assistance with. If you need more information on how to work with a real estate virtual assistant, please contact Kim Hughes. Kim will be happy to discuss the benefits of working with a real estate virtual assistant and even help you find the one that is right for you. Shadow a Successful Real Estate Agent! Ever wonder how the top real estate agents in the industry became so successful and how do they continue to be successful? 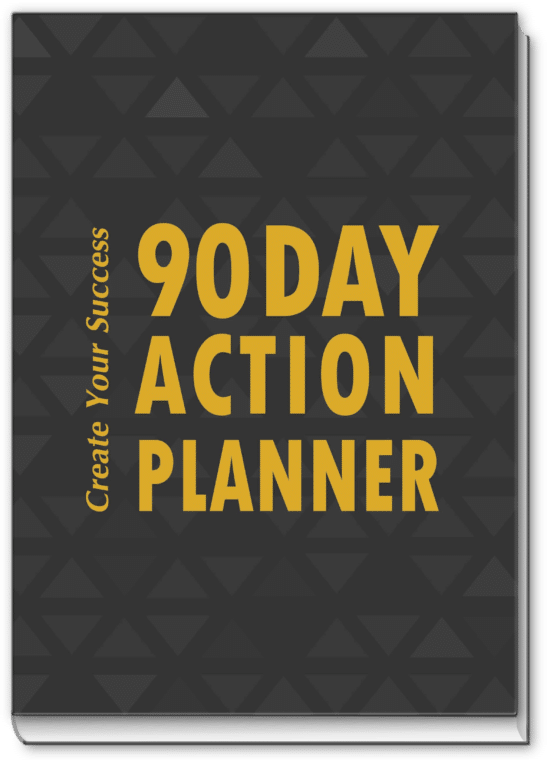 Well, now you can shadow these successful agents and learn how they do what they do and create a successful plan for your business. Craig Lerch, Jr. who is probably the nicest person you will ever meet and I can certainly vouch for this since I have worked with him personally as his real estate virtual assistant. Read his testimonial about my services. This is one testimonial I am very proud to have in my portfolio. Anyway, Craig and Melissa Crockett Willis – both Howard Britton Star Power Stars have joined together to offer Virtual Shadowing to you and you do not have to pay thousands of dollars to “shadow” those amazing real estate professionals. Mike Reid, Melissa Crockett Willis and Craig Lerch, Jr. have come together to create an experience that will rock you and your business to the next level. Learn more about this amazing virtual shadowing program and be sure to Sign Up for Email News!